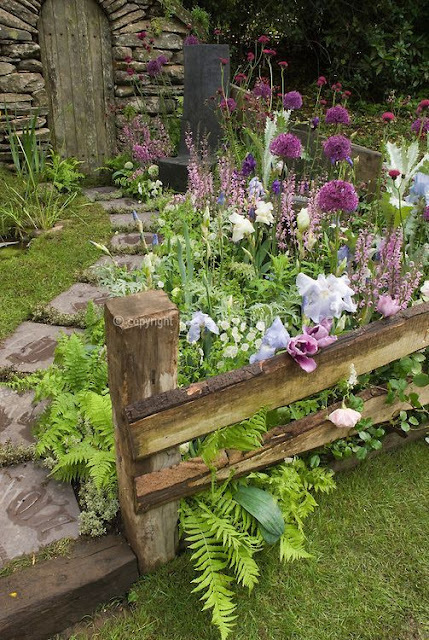 html> Lostvestige: Current Inspiration: Cottage Gardens! 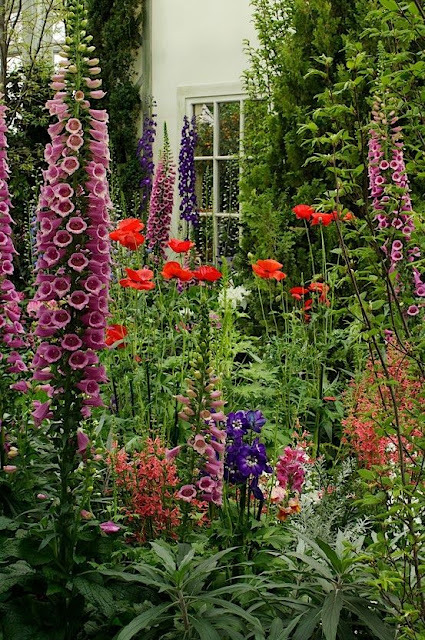 During the long dark winter nights when I'm stuck inside, I like to dream about my garden to keep from going stir crazy. On my mind this year are cottage style gardens like this one. With all kinds of flowers, overflowing with tall colorful blooms. This year I have high hopes for growing a beautiful garden of wildflowers. Here are some of my ideas! 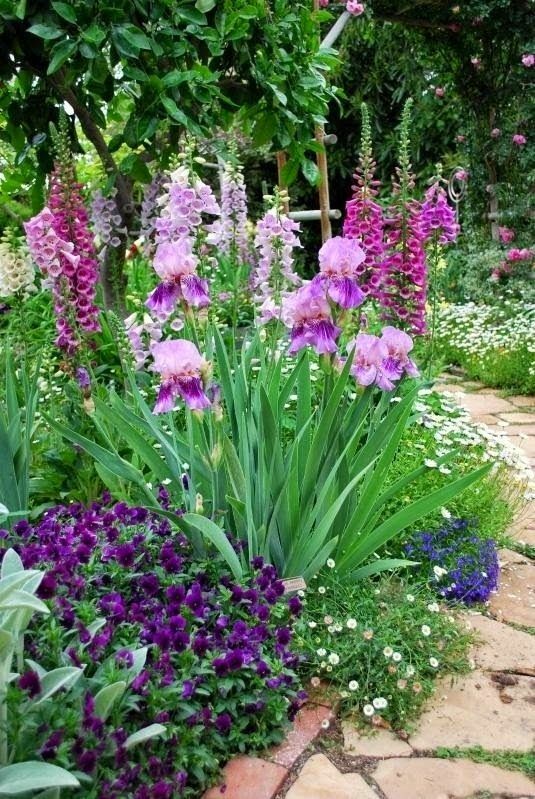 I love how foxgloves and irises look together. I started some foxgloves by seed inside, hopefully I started them early enough so they'll flower in the spring. 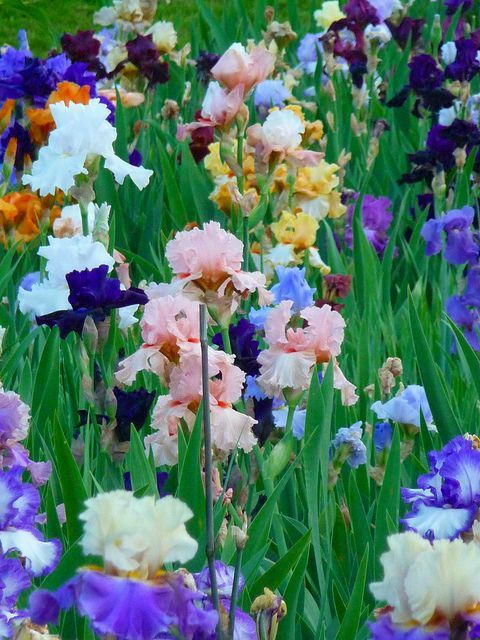 One day I hope to have a glorious iris collection. 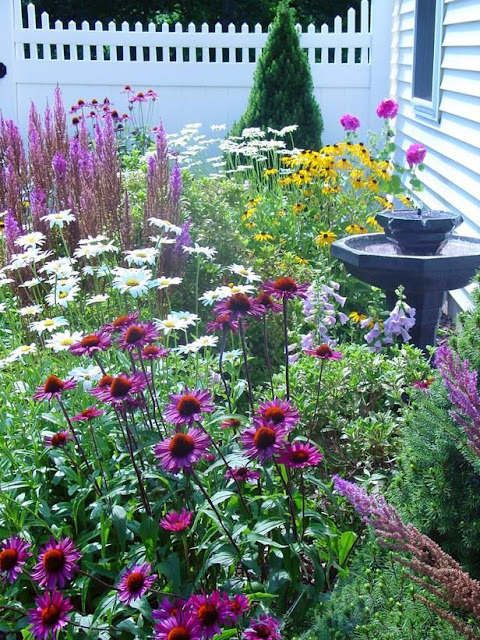 I have been adding a few new colors to my garden each year, they're so pretty! 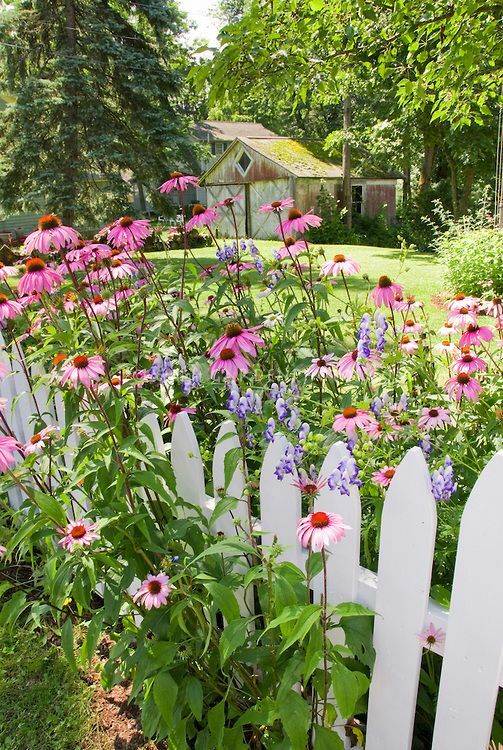 I just love how cottage gardens look growing along a cute little fence. I think allium is such a striking plant. 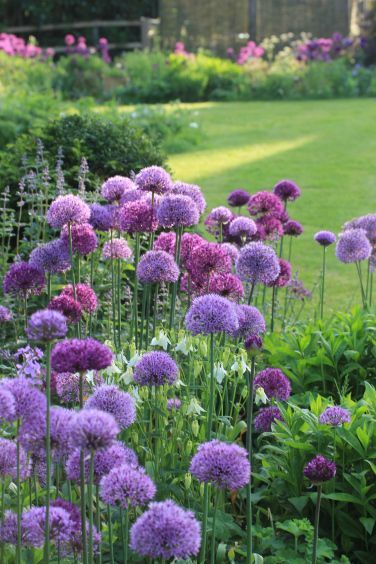 I bought a pack of bulbs last fall and I can't wait to see how they look this spring! 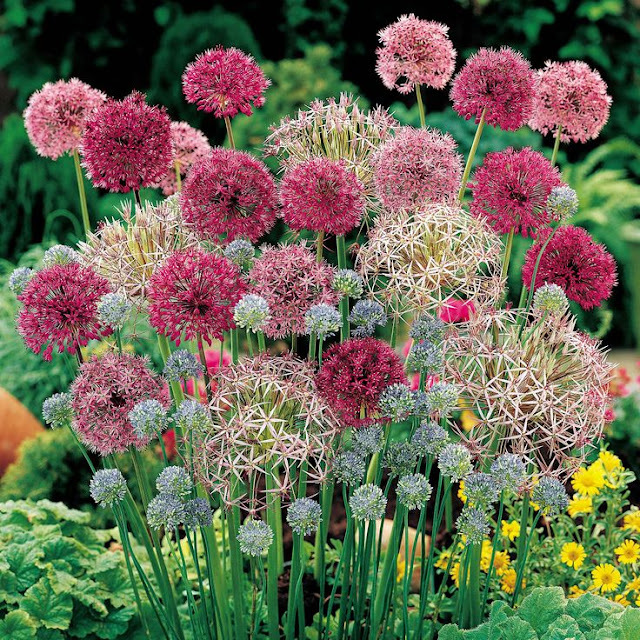 I have never seen pink allium before but I need some. Cone flowers like these pink ones are another one of my favorites. I bought a few clumps of them last spring so hopefully they made it through the winter and will grow back even bigger. I hope that my garden will look as full and lush as this one does. I have had some pretty dismal attempts in the past! The first year I started all my seeds inside, but I only had room for so many so I didn't have as many plants as I would like, but it still ended up pretty. The next year I planted them all directly in the ground, but then a late frost hit so it killed most of them off. Last year I waited too long to plant them and they took forever to grow. This year I am going to buy a whole bunch of wildflower seed packets and put some directly in the ground, and also start some inside, so hopefully this will finally be the year for my wildflower garden! Does anybody else have any garden plans for this spring?